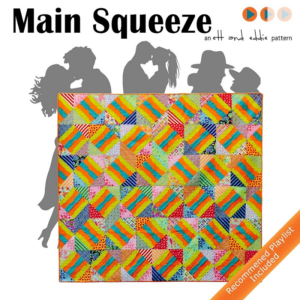 Check out the Main Squeeze Quilt Pattern! Home » Patterns » Check out the Main Squeeze Quilt Pattern! 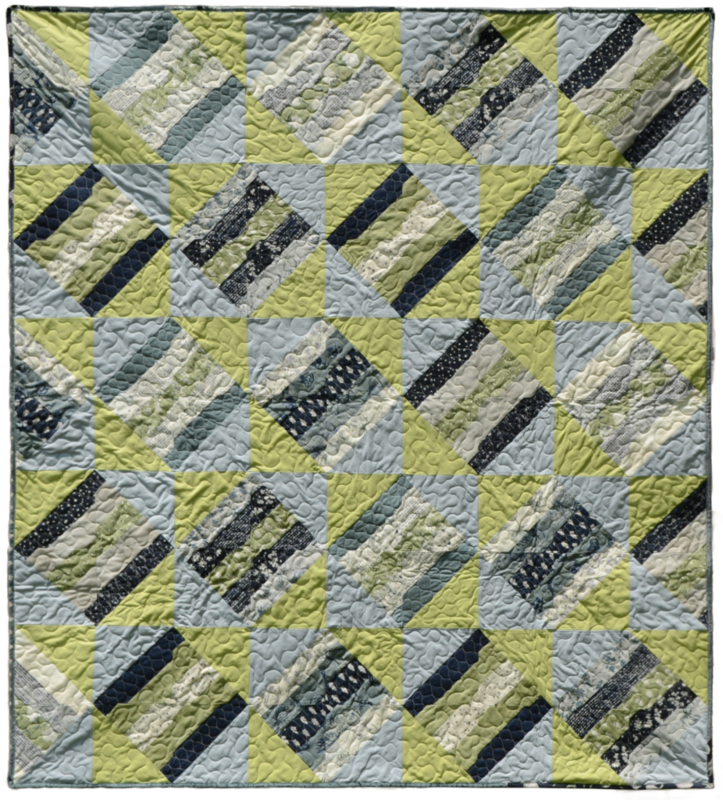 We are happy to introduce our latest quilt pattern, Main Squeeze! Lynn designed this precut friendly quilt to use a 10″ layer cake as setting triangles for the “squeeze” block. When Pam got hold of it, she wanted to use a jelly roll for the center strips, so now you can get both versions in the same pattern! The cover quilt, made with 10″ square precuts, comes out to 80 x 72″. Check out the Main Squeeze digital pattern for fabric requirements for either version, and get stitching!